The latest version, “ZA07”, solves compatibility issues with certain Canon 1D-series camera bodies, improves metering performance and adds a “Fast Exit” mode to get back to the main settings menu more quickly. You can download the file from the manufacturer’s web site. Please note that you will need a Windows PC to install the update, as the Mac software isn’t ready yet. 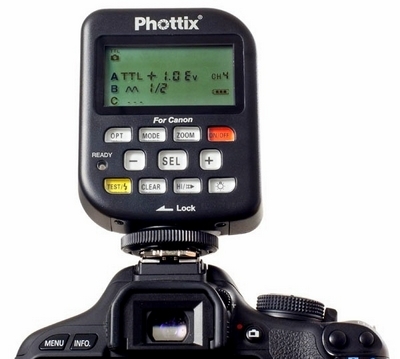 The Phottix Odin for Canon costs US$350 for a transmitter-receiver kit. The i-TTL Odin for Nikon will, according to Phottix, be available “in the next few months”.